Central College is a Catholic, K-12, Co-educational school, comprising two sections: English and French. Cycle Lycée (2nde, 1ère, and Terminale with four branches: Literature and Humanities, General Sciences, Life Sciences, and Sociology and Economics). 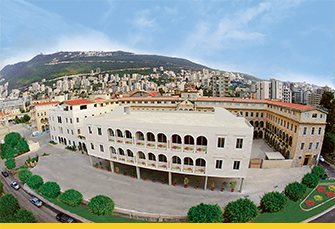 The Lebanese program and the “French Baccalaureate” program are followed in the French Section. Although French is the first foreign language in this section, English is taught as a second foreign language as of Grade 1. High School (Grade 10 - Grade 12 with three branches: General Sciences, Life Sciences, Sociology and Economics). AP (American Program) Section for students with different nationalities who are exempted from regular Arabic classes and the official examination.